Michel Roux presents over two hundred classic and contemporary sauces that transform the humblest dish into a masterpiece. Included are recipes for his latest innovations and centuries-old classics, such as hollandaise and béchamel, making this small-format compendium indispensable. 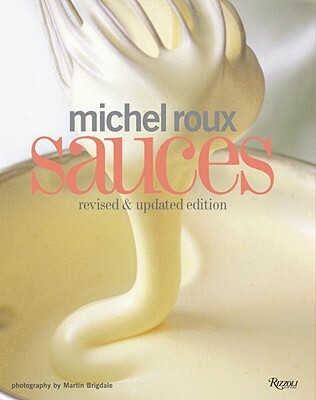 Beginning with the "mother sauces" that provide the foundation for dozens of others, Roux shows how sauces provide the endless variations and continuing appeal of French cooking. Packed with tips (such as "always add cold water to stock"), this updated edition features over one hundred new photographs and twenty-five new recipes with completely revised and updated text. Michel Roux’s London restaurant, the Waterside Inn, consistently achieves Michelin’s three stars—the culinary world’s highest accolade.